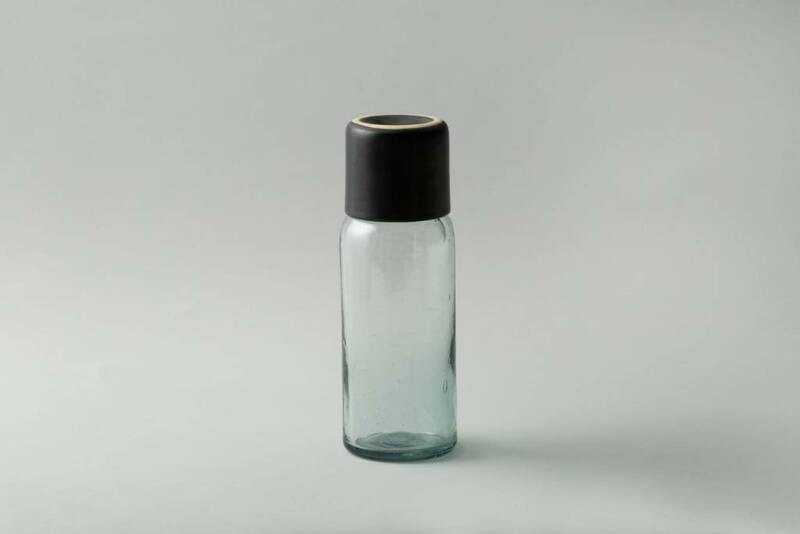 Sleek and minimal glass carafe with black clay cup from Mexico City's, Lagos Del Mundo. Use this useful piece to serve juice or water. The cup acts as a loose lid when not in use. Designed and Handmade in Mexico.